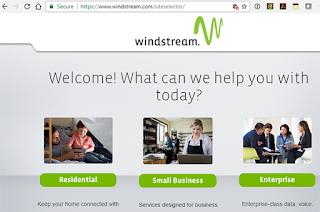 Windstream expands SDN-powered wavelength service across U.S.
Windstream announced a major expansion of its SDN Orchestrated Waves (SDNow) transport service. 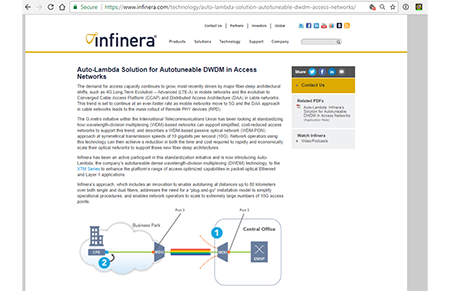 SDNow, which is a high-speed optical wave service delivered using a centralized, programmable SDN environment – is now available in 50 markets across the U.S., including major cloud connectivity and peering locations in the United States. The service was first launched in May. 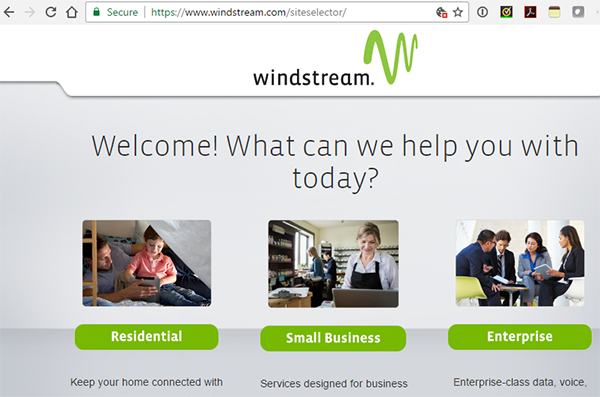 The Windstream network leverages multi-vendor service orchestration and automated provisioning. This enables customers to order SDNow 10G point-to-point circuits for 1,500 long-haul route combinations, with delivery in 20 days. Citing strong sales for broadband equipment and growing service revenues, ADTRAN reported Q3 2017 sales of $185.1 million compared to $168.9 million for the third quarter of 2016. Net income was $15.9 million compared to $12.4 million for the third quarter of 2016. Earnings per share, assuming dilution, were $0.33 compared to $0.26 for the third quarter of 2016. SoftBank and Australia's Lendlease Group are planning to a joint venture company to own and operate cell towers across the U.S, according to The Wall Street Journal and other media sources. The initial plan envisions the acquisition of about 8,000 cell sites, many but not all of which would come from Sprint. SoftBank holds a 70% equity stake in Sprint. 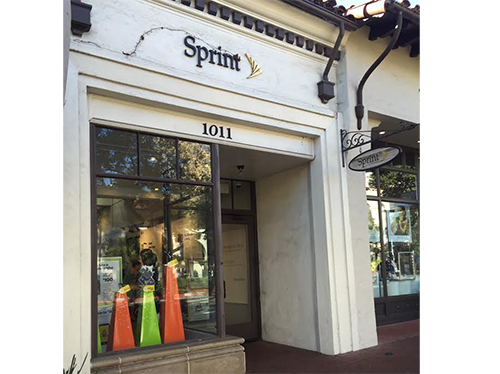 In April 2016, Sprint announced an arrangement to sell and lease back certain existing network assets, thereby raising $2.2 billion for addressing upcoming debt maturities. Under the deal, several bankruptcy remote entities (collectively “Network LeaseCo”) will acquire certain existing network assets and then lease them back to Sprint. The assets acquired by Network LeaseCo will be used as collateral to raise approximately $2.2 billion in borrowings from external investors, including SoftBank. The $2.2 billion of cash proceeds Sprint expects to receive from the transaction is scheduled to be repaid in staggered, unequal payments through January 2018. 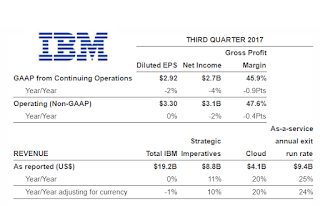 IBM reported Q3 2017 revenue of $19.2 billion, flat compared to a year ago and down 1% yoy when accounting for currency. In the third quarter, the company generated net cash from operating activities of $3.6 billion, or $3.3 billion excluding Global Financing receivables. IBM’s free cash flow was $2.5 billion. IBM returned $1.4 billion in dividends and $0.9 billion of gross share repurchases to shareholders. "In the third quarter we achieved double-digit growth in our strategic imperatives, extended our enterprise cloud leadership, and expanded our cognitive solutions business," said Ginni Rometty, IBM chairman, president and chief executive officer. "There was enthusiastic adoption of IBM's new z Systems mainframe, which delivers breakthrough security capabilities to our clients." Q3 cloud revenues increased 20 percent to $4.1 billion. Cloud revenue over the last 12 months was $15.8 billion, including $8.8 billion delivered as-a-service and $7.0 billion for hardware, software and services. The annual exit run rate for as-a-service revenue increased to $9.4 billion from $7.5 billion in the third quarter of 2016. Q3 revenues from analytics increased 5 percent. Q3 revenues from security increased 51 percent (up 49 percent adjusting for currency). IBM continues to make capital investments in cloud and cognitive capabilities. Ekinops is supplying optical networking equipment to the Keystone Initiative for Network Based Education and Research (KINBER), Pennsylvania’s statewide research, education and community networking organization. Harrisburg-based KINBER provides network connectivity and services – including IP, Ethernet, and wavelength services – to more than 80 organizations in Pennsylvania. KINBER owns and operates a more than 1,800-mile fiber network across the Commonwealth of Pennsylvania with access points in 47 of the 67 Pennsylvania counties. For this upgrade, KINBER successfully installed two 100G long-haul connections using its Ekinops 360 platform. One span extends 166 miles and the other extends 609 miles of the East Ring of the PennREN Network with a round-trip latency of only 11 milliseconds on the longer route. KINBER’s PennREN network upgrade using Ekinops 360 represents the first availability of 100GE capability across the Commonwealth. 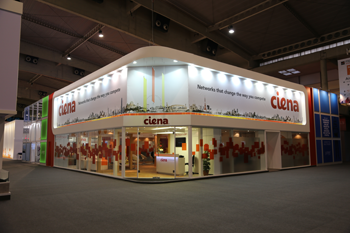 Ekinops noted that its equipment was installed over an existing third-party ROADM network.